Dental implants have become the most advanced option for replacing missing teeth with natural-looking results. While more traditional, fixed dental bridges can adequately replace a missing tooth or a series of teeth, dental implants offer several important advantages to consider before deciding which method is best for you. With dental implants, the porcelain restoration crowns are supported independently of the surrounding teeth by a titanium implant, which is fused with the jawbone. Healthy adjacent teeth do not need to be prepared for crowns (as they do during the placement of fixed dental bridges), which preserves the teeth and prevents weakening. Furthermore, pressure placed on the dental implant during chewing stimulates jawbone growth that prevents problematic bone loss. With proper care and daily maintenance, durable dental implants can outlast dental bridges, providing value long into the future. In some cases, patients are not good candidates for dental implants, and for those individuals dental bridges may provide the the most suitable method for tooth replacement. It is important to undergo a thorough dental examination and evaluation with our dentist, Kevin Sands, DDS, to determine which restoration option will deliver the best results for you. Whichever method is selected, Dr. Sands will create a customized tooth replacement plan tailored to your needs and goals. Implant dentistry can provide a functional, long-lasting solution for individuals missing a single tooth or several teeth. Whether you have lost teeth due to decay, trauma, gum disease, or other reasons, dental implants may be a viable option for replacing teeth with results that can look and feel natural. Are your gums healthy enough? Healthy gums are important for proper healing and to prevent the spread of gum disease during implantation. If necessary, periodontal treatments can be performed to improve your gum health. Do you have adequate jaw bone density to support a dental implant? The titanium implant post must be supported by strong jawbone tissue to provide proper stability and lasting results. Dr. Sands will also ask several questions about your physical health and medical history. It is important that you are in good overall health and have the capacity for proper healing after oral surgery. Good candidates for dental implants typically go on to enjoy exceptional results from their dental implant restorations. Most patients report that their dental implants look, feel and function just like natural teeth. For more information about implant dentistry, we invite you to browse through answers to common questions about dental implants. A gum lift can provide many benefits: eliminating excess gum tissue, lengthening the appearance of the teeth, and improving the balance of your smile. If you feel self-conscious about the amount of gum tissue visible when you smile or laugh, you may be a good candidate for a gum lift. 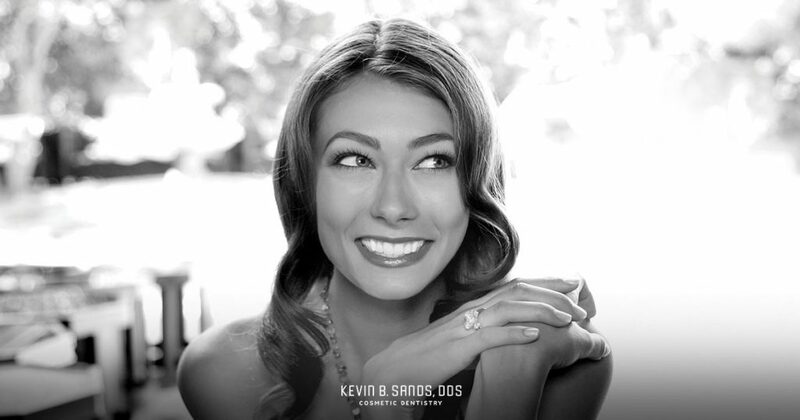 By recontouring the gums, Dr. Kevin Sands can effectively renew the gum line and enhance the appearance of your smile. The cost of a gum lift varies from patient to patient since each person’s needs are unique. Factors such as the amount of excess gum tissue, the complexity of the procedure, the projected duration of the treatment, and the experience of your cosmetic dentist can all impact the final price of gum recontouring. If you are having a gum lift performed as part of a smile makeover, the cost of the procedure may also be affected. During your one-on-one consultation, Dr. Sands will perform an oral examination, determine whether you are a good candidate for a gum lift, and create a customized treatment plan. A member of our team will then be able to provide you with a cost estimate for the entire procedure. If you have questions about the cost of gum recontouring, or to schedule an appointment, please contact us today. How Can I Fix a “Gummy” Smile? Some individuals have an excess of gum tissue that shortens the appearance of their teeth. This condition, frequently referred to as a “gummy” smile, is very common and can ultimately be the source of extreme self-consciousness. Fortunately, there is an advanced treatment available at our practice that can restore balance and harmony to your smile: it’s called a gum lift. Dr. Kevin Sands often uses the gum lift procedure to reshape the gums and alter the gum line, lengthening the appearance of the teeth and improving overall balance and symmetry. Since a gum lift is performed with a state-of-the-art laser, the procedure is often virtually painless. Laser gum lifting can also usually be completed within one hour, and involves very little recovery time. Some patients choose to incorporate a gum lift into a full smile makeover for a more comprehensive smile rejuvenation. For more information about gum lift treatments, or to schedule an appointment with Dr. Sands, please contact our office today. Porcelain veneers are one of our most popular cosmetic dentistry procedures for improving common tooth imperfections. With the ability to cover and conceal gaps, cracks, chips, and mild tooth misalignment, dental veneers have provided many patients with a more youthful and natural-looking smile. With that in mind, how long can one expect the many benefits of porcelain veneers to last? While there are many different types of dental veneers, porcelain veneers are considered quite durable. Though some types of dental veneers, such as composite resin veneers, may be less expensive up front, these veneers tend not to last as long. Conversely, porcelain veneers are constructed from a high-quality ceramic that can improve the appearance of your teeth for decades to come when properly cared for. 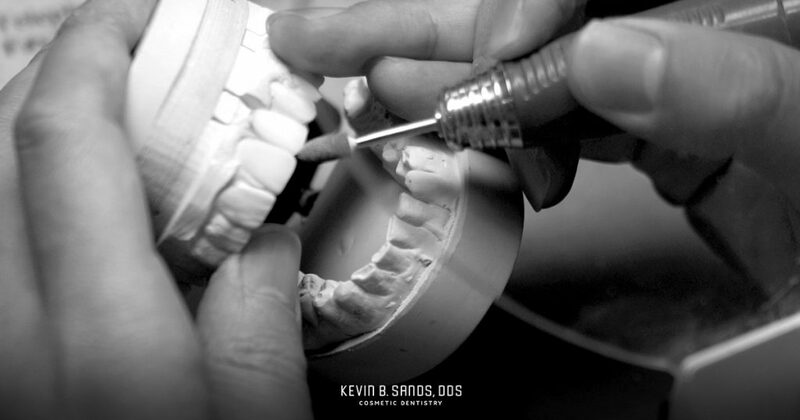 During the consultation process, Dr. Kevin Sands will review the types of veneers he offers, examine your teeth, and advise you on which style of dental veneers can best meet your goals. For example, Zirconia veneers – which are stronger than traditional porcelain veneers – can be used for patients with severely damaged teeth, particularly when they are located toward the back of the mouth. In addition to the nature of your tooth imperfections and the severity of the damage, Dr. Sands will also ask you questions about your lifestyle to help ensure that dental veneers are the best choice for you. For example, individuals who regularly engage in contact sports may not be ideal candidates for dental veneers, as the likelihood of impact increases the risk of damage to the restoration. For these patients, an alternative tooth restoration, such as a dental crown, may be more appropriate. Regardless of which type of veneers you choose, Dr. Sands will give you detailed care instructions so your tooth restorations can last as long as possible. If you would like to learn more about our dental veneers options, please contact our office today.